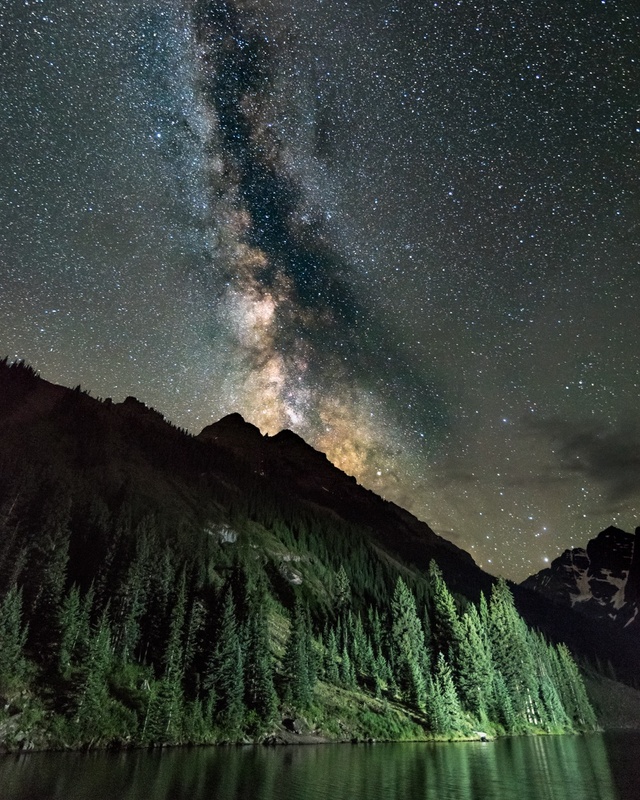 This image is the milky way over Maroon Bells in Aspen, Colorado. Some of America’s most iconic and most photographed mountains frame the center of the milky way as it juts out of the peaks. With long exposure and light-painting the lake and pines of the mountains, this image pushes the boundaries of the capabilities of digital photography.